Ukrainian Scientific Institute in Berlin (Український науковий інститут у Берліні; Ukrainskyi naukovyi instytut u Berlini). 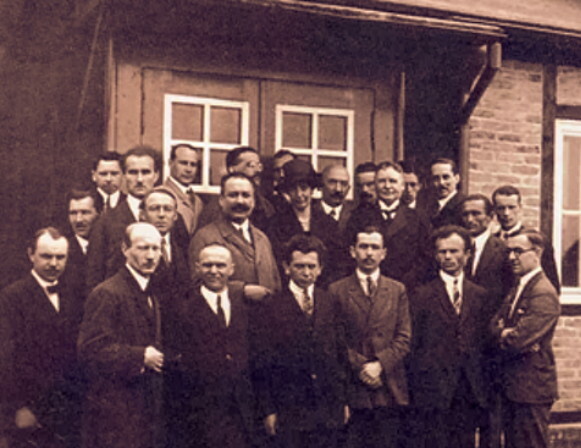 An émigré institution established in Berlin in November 1926 on the initiative of Hetman Pavlo Skoropadsky and with the support of General Wilhelm Groener. The institute’s mandate was to represent Ukrainian scholarship, develop Ukrainian studies, disseminate information about Ukraine in Germany, study Ukraine’s relations with Western countries (particularly Germany), and aid Ukrainian students and young scholars in Germany by granting scholarships and fellowships and running a student residence in Berlin. It also established a library, a Ukrainian-press archive, and an archive of foreign press clippings about Ukraine. Until 1931 the institute was funded by the Verein zur Förderung der ukrainischen Kultur und Wissenschaften. Its director was the historian Dmytro Doroshenko. The chairman of its board of trustees was Groener, and the vice-chairman was Oleksander Skoropys-Yoltukhovsky. Full members of the institute included Doroshenko, Roman Dyminsky, Borys Krupnytsky, Zenon Kuzelia, Viacheslav Lypynsky, and Ivan Mirchuk. 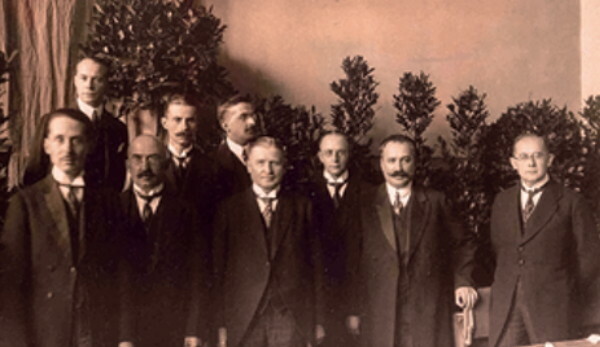 Other associates in Germany included Mykhailo Antonovych, Oswald Burghardt, Hanna Chykalenko-Keller, Dmytro Chyzhevsky, Volodymyr M. Leontovych, and Petro Verhun. In 1928 the institute took part in the International Press Exhibition in Köln and issued a catalog of Ucrainica in the German press and literature (compiled by Mykola Hnatyshak). By 1931 it had published three volumes of scholarly papers called Abhandlungen (1927, 1929, 1931) and two volumes of informational articles called Mitteilungen (1927–8). From 1931, under the new director, Ivan Mirchuk, the institute was funded by the German Ministry of Education. In 1934 it received the status of a state institution affiliated with Berlin University. Wilhelm Groener was succeeded as chairman of the board of trustees by A. Palme (1934–9) and G. Gerullis (1939–45). In the 1930s the institute worked to bring the Ukrainian question to the fore of Central and Western European public attention. To this end it organized lectures (mostly at Berlin University) by Ukrainian and German scholars, offered German-language courses in Ukrainian studies (taught by Borys Krupnytsky, Zenon Kuzelia, Volodymyr M. Leontovych, and Mirchuk), sent literature on Ukraine to German and foreign academic libraries, organized public exhibitions (eg, of Ukrainian graphic art [Berlin 1933] and of Ukrainian demographic, economic, and ethnographic maps [Berlin 1936]), and provided German institutions, publishers, and encyclopedias with information about Ukraine and Ukrainian issues. It expanded its library (est 1926) to nearly 35,000 volumes. After 1932 the institute issued informational and scholarly publications, including the brochure series Beiträge zur Ukrainekunde (mostly transcripts of the institute’s lectures); exhibition catalogs; the bulletins Visty Ukraïns’koho naukovoho instytutu u Berlini (1933–8) and Ukrainische Kulturberichte (1933–40), edited by Kuzelia; an ethnographic map of Transcarpathia (1938); the encyclopedic Handbuch der Ukraine (1941), edited by Mirchuk; Krupnytsky’s Geschichte der Ukraine von den Anfängen bis zum Jahre 1917 (1939, 1943); Jaroslav Rudnyckyj’s Lehrbuch der ukrainischen Sprache (1940, 1942, 1943); and several dictionaries, notably Kuzelia and Rudnyckyj’s large Ukrainisch-deutsches Wörterbuch (1943). After the Soviet occupation of Berlin in 1945, the institute was dissolved, and its library holdings perished.